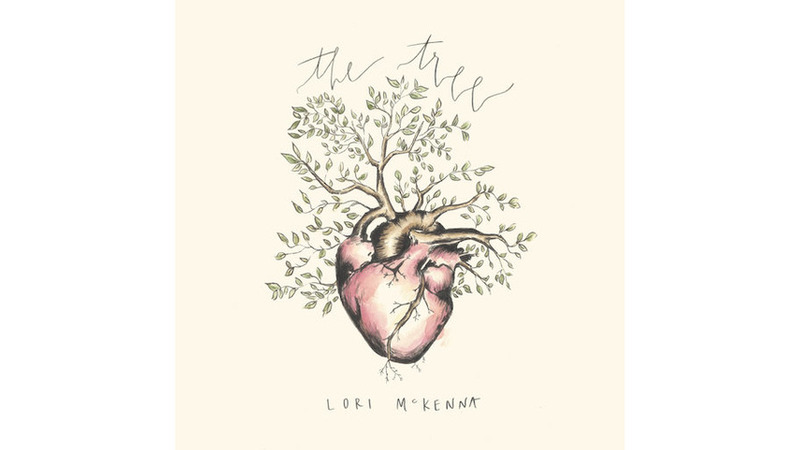 Every Lori McKenna album has at least one song that will make you cry—and depending on who you are, and where you are in life, it could be any of them that gets you choked up. It’s not that McKenna is trying to put a lump in your throat. The Massachusetts songwriter is just singing the truth as she knows it, which is well enough: she’s a mother of five who has been married to the same man for 30 years and still lives in the town where she was born. She has a well-informed perspective, then, on growing up and growing older and watching the world change around you. Like most of her work, McKenna’s latest is a family-centered collection of rootsy folk songs, and as usual, she finds profundity in the ordinary moments of everyday life. McKenna’s attention to detail, and the way she makes universal sentiments suddenly, and piercingly, specific, are why her songs are special enough to have earned the deep respect of her fellow folk singers, and to have caught the ear of the big-ticket country stars who have recorded them, including Tim McGraw, Faith Hill and Little Big Town. “She bit her lip and didn’t cry the day your hatchback left,” McKenna sings on opener “A Mother Never Rests,” and you might as well be standing there with her in the driveway while the leaves turn gold and your kid pulls away with belongings piled high in the way-back. If it’s bittersweet as children get older, it can be heartbreaking as parents do. “You still think he’s 45, and he still thinks that you’re a kid,” she sings on “People Get Old,” a song she wrote to celebrate a lifetime’s worth of memories with her father, who turns 83 this year. McKenna hasn’t lost sight of the passions of youth, either. “Young and Angry Again” summons the impatience and urgency of being halfway to adulthood and wanting the rest right now, with a twangy guitar riff underscoring the point. “The Lot Behind St. Mary’s” represents the flipside, recalling “the love we made before our teenage dreams were buried” as McKenna’s narrator yearns for the simpler time before adulthood dispelled innocence with all the subtlety of a rock tossed into a pond. Life experiences don’t always turn out well, but they build resilience on “You Can’t Break a Woman,” about someone who walls herself off lest the self-destructive behavior of a lover pull her down, too. Throughout The Tree, she underpins the songs with a simple, unfussy faith in a higher power that emphasizes love and forgiveness—compassion, you might say—above all else. Wistful songs about love and family would be deeply uncool in the wrong hands, but McKenna seems more interested in being honest than hip. Her voice is warm and frank, and her understated, mostly acoustic musical arrangements never overshadow lyrics in which she almost always manages to say the right thing. The result, of course, is that she comes off like the mom who is deft at sincere, matter-of-fact conversations with her kids’ friends (even when they’re well into adulthood), and dispenses knowing advice in a way that steers them in the right direction. And when they need to cry, well, she’s the one who lets them sob without judging. McKenna’s talent is such that you don’t need to actually know her personally to benefit. It’s all right there in her songs.